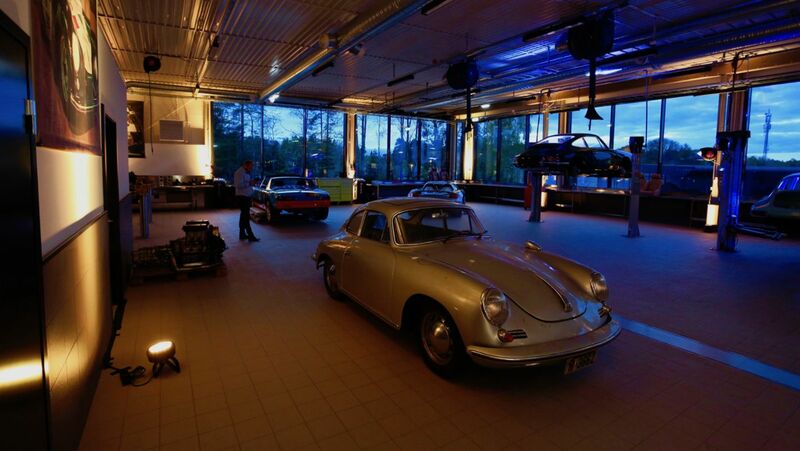 Porsche has launched another competence centre for its classic cars: In the Norwegian city of Son–around an hour’s drive south of Oslo–the world’s third Porsche Classic Centre has opened its doors. This is the latest expansion of the Porsche Classic service network for vintage cars and modern classics. Alongside the three exclusive Porsche Classic Centres, the network includes 51 Porsche Centres that have been certified as Porsche Classic Partners. “The level of motivation of the workforce at the Porsche Classic Centre Son and the trust the classic customers place in their expertise is impressive”, said Alexander Fabig, Director Porsche Classic at Porsche AG, at the opening ceremony with 150 invited guests. There are 10,250 Porsches on the road in Norway. Around 5,000 of them count as classics because production for these cars ceased more than ten years ago. “Alongside the continual expansion of our Classic range of genuine parts, the Porsche Classic Partners and Porsche Classic Centres around the world represent a crucial part of our strategy. Our top priorities are to engage in personal contact with our customers and provide support befitting of the brand”, emphasises Fabig. The new Porsche Classic Centre has been set up right next to the Porsche Centre Son. In the 2,000-square-metre building, up to six classic cars can undergo maintenance, repair or restoration at any one time. Five highly qualified technicians received comprehensive additional training in this work from the experts at Porsche Classic in Stuttgart. The Porsche Classic Centres around the world are subject to high customer demand. 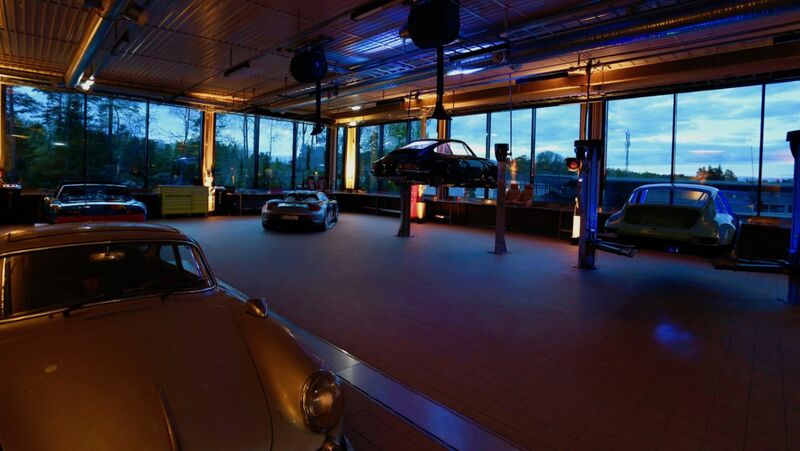 Just a year after the first Porsche Classic Centre opened in Gelderland in the Netherlands, the centre there is already nearing the limits of its capacity. The originally planned area of 5,380 square metres is being expanded to 6,970 square metres. In its first year, it repaired and restored ten vehicles for its customers, with a 1964 Porsche 911 being a particular highlight. In late autumn of 2016, the second Porsche Classic Centre opened its doors in the French city of Rouen. On a 1,900-square-metre site, the centre gives customers and visitors access to an exhibition space and a large workshop, designed especially for classic vehicles. The 600-square-metre workshop allows repair work to be undertaken using state-of-the-art technology. More than 70 per cent of all Porsche vehicles ever made are still on the road today. For optimum support and reconditioning of classic vehicles, Porsche is gradually expanding its international dealership and service network. This expansion is focused on Porsche Centres and Porsche service centres, which are responsible for looking after sports cars from earlier eras as well as the latest vehicles and are certified as Porsche Classic Partners. Customers and enthusiasts alike can find the full range of services from Porsche Classic waiting for them at these centres. They include supplying classic vehicles with 52,000 genuine spare parts, complete and partial restorations and repair and maintenance work. The network currently includes locations in Germany, the USA and 15 other countries. New centres are being built in countries such as Australia and Canada. The Porsche Classic Partners offer customers with historic Porsche vehicles a local point of contact who can provide enthusiastic and–most importantly–expert service and advice. For this reason, Porsche Classic has developed a special training concept that is undertaken by employees. Porsche Classic Partners are equipped with special tools and model-specific repair instructions to allow for the best-possible maintenance and repair. This enables Porsche to guarantee a consistently high standard of quality around the world. Interested parties can also find information about Porsche Classic Partners, as well as current Porsche Classic news and events, at www.porsche.com/classic. For collectors, the unavailability of spare parts can lead to problems. Porsche Classic has a solution. Porsche Newsroom has dived into the local air cooled scene in California that is brought together by Instagram.